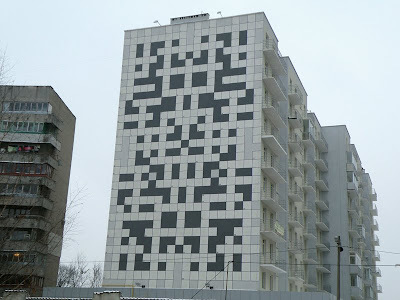 In past we have seen puzzles on clothes, now we have here a puzzle on the wall of a building. It's the newest tourist attraction in the city Lvov, Ukraine. This artistic project is placed on 30 meters tall wall of a multi-stored residential house. Although its blank during the day-light and at night when special lights are switched on the puzzle, it become visible. 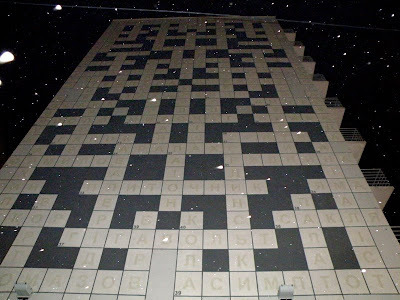 Questions for this crossword are scattered in different parts of the city, such as monuments, theaters, fountains etc. So while touring the city, you can answer the questions and at night, check the accuracy of your answers! Luxury Buses: Travel In Comfort.